Fig. 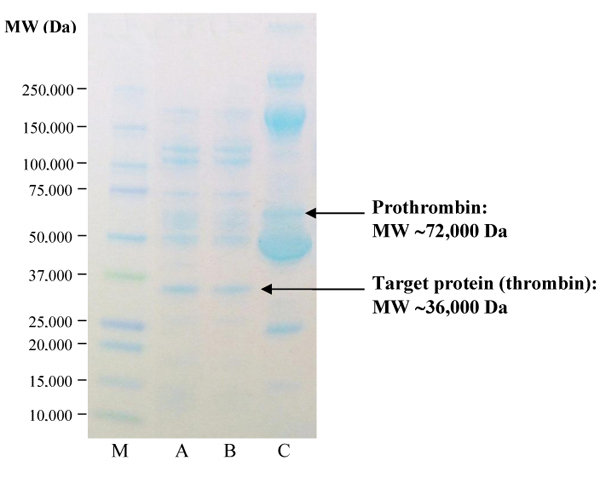 (2) SDS-PAGE of produced thrombin prepared from two optimum conditions. Lane M: molecular weight markers; Lane A: condition A (method M2.2); Lane B: condition B (method M2.3); Lane D: diluted CDP (10x).